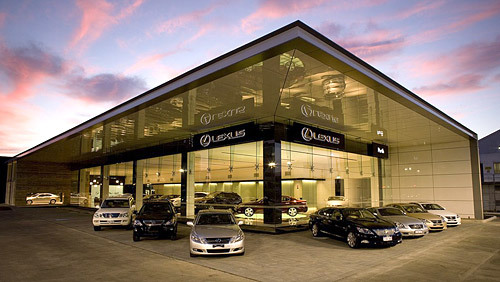 Lexus Australia has announced plans to grow its current 22-strong dealer network by more than 50% by 2012. Dealers will commit A$230m towards new and existing dealer facilities and sites over the next four years. New outlets will be in a mix of regional and metropolitan centres. Lexus chief executive John Roca said that the commitment had been made possible by the continued growth of the brand in Australia over the last seven years. The new dealerships will be based on the recently opened Lexus Perth dealership (pictured above), which has a very nice look. I’m especially impressed by the giant roof overhang.